The 2015 Mazda3... a vehicle engineered by perfectionists for perfectionists, like you. Mazda’s most technologically advanced Mazda yet, resulting in fuel economy ratings from the EPA of up to 41MPG. SkyActiv Technology... a blend of efficiency and performance. Now with the optional i-Eloop, which stores kinetic energy during braking and releases the same energy during acceleration, resulting in a boost in fuel economy of 5%. It’s a car that settles for nothing less than the best by constantly striving to bring your driving experience alive. A vehicle that received five star safety ratings from the NHTSA. 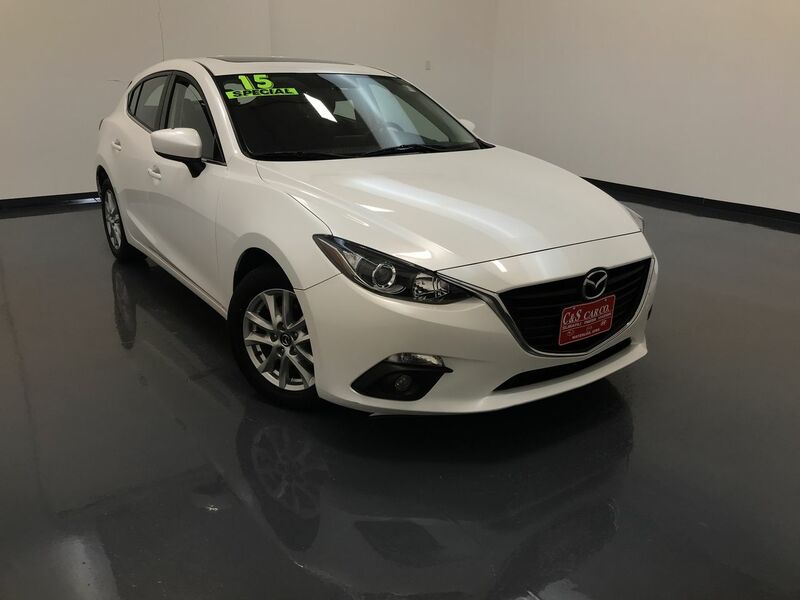 This MAZDA3i GRAND TOURING 5-door hatchback has a leather interior with heated front seats, a power driver's seat, keyless entry and ignition, dual climate controls, a sunroof, a back up camera, and all-weather floor mats. The infotainment system has navigation, an AM/FM sound system, Bluetooth connectivity, and XM satellite radio. The exterior features 16" alloy wheels with Bridgestone tires. Call C & S Mazda toll free at 866-212-8718 or locally at 319-291-7321.